Finally the big diary of the mod is here, i hope you will enjoy, leave a comment and rate my work! Note: Will be Phase II, So this is not all. Hello everyone , finally after one month of dev "stagnation", Here I present to you the "Big" diary which is much larger than the previous instances and many other information about the new universe, I spent a very long time in order to do, i will be very happy if you will leave commnet under this diary. tell me something nice, Enjoy! Also i search for any kind of devs and helpers, for the most part i need coders but if you know how to paint , doing icons or something that similar with, here our discord server, feel free to leave the opinion of the this diary! 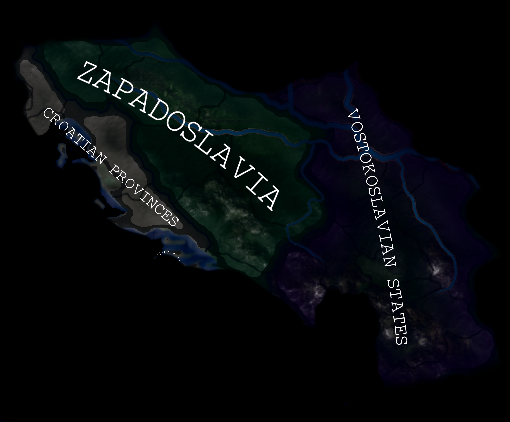 Balkanization of The balkan region, oh this is very ironic isn't it true? So this "balkanization" is happened between 2035 and 2042 , for that moment the EC (european commonwelath) is already formed.Between this years several conflicts are happened in all eastern europe , the soviet threat, the resource crisis and pressure from Germany, italy and france also the ethnic crisis. And then one day, several riots and national parties in countries proclaimed their independence:Moldavia (most of them escape from Bessarabia and novorussian occupation in 2025 after ukrainina war. 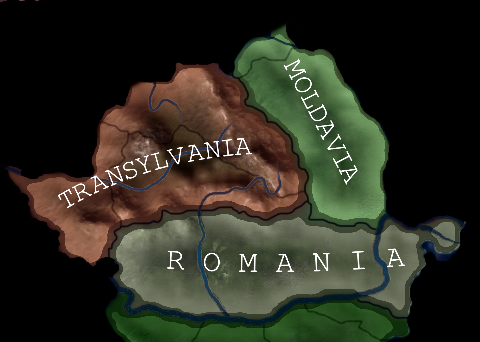 )Transylvania that with the support of the Magyar Commonwealth (Formed in 2021 because of the cold war start and the pact between hungary and slovakia to form commonwealth, of course under pressure from Germany) and become independence due to the weakness of Romania and their crisis from 2025, and pressure from all sides, also bulgaria demand their lost teritories and romania accept their demands. Yougoslavia split into 3 zones/regions, zapadoslavia, vostokoslavia and croatian provinces(that will be pupet of the german confederation). All ethnic peoples will have to move in 5 months to 3 of the new countries according to their own ethnic culture and their similarity with other countries. This is in short version. The albanian crisis is come in 2040 and the final phase/stage in the balkanization is ended in this country, albanian region enter to a massive civil war between socialists and radical party of fantaic cult that was popular in the country, 8 months this conflict continued , but after the germany send their troops in to albania and ended the massive civil war in 1 month, the treaty of tirana that was hold in 2041 agreed that: Albania will be divided into 2 parts between Vostocoslavia and Greece , south will be under greece control and north under vostocoslavia. The "iron hand" of the germany and others EC countries destroyed other albanian riots, the Balkanization is ended and the region finally peace reigned. 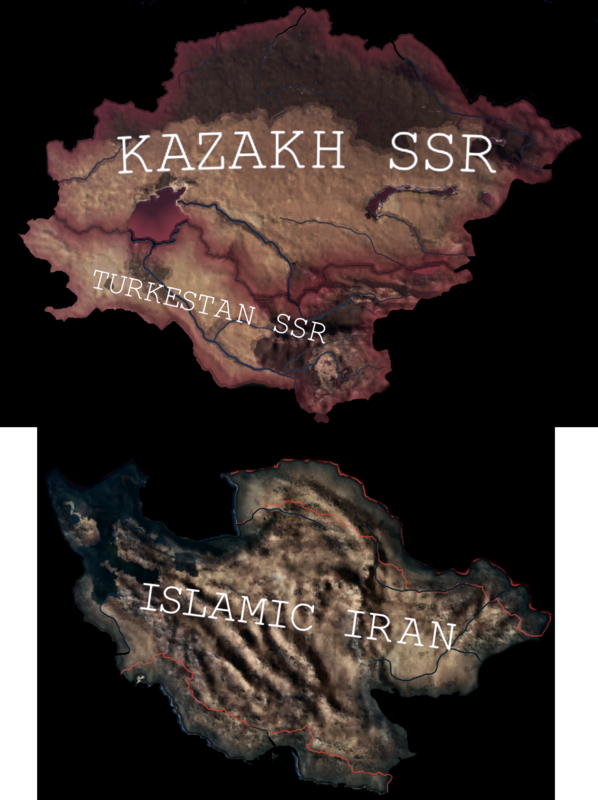 Tehran Loose a half of their land in turkmenistan and afganistan. Set Demelitarazid zone in iranian afganistan territories, on all iran coast line and iranian turkmenistan zone. Turkestan: After the huge destruction and economic troubles in all central asian region after iranian invasion, In december 2016 soviet union decited to combine the central asian region and the occupied zones of afganistan into one union that will protect all central asian region and will have one army and economy. After one year of conversation in moskwa between other soviet countries, the treaty was achieved in january 2018 (that in future will call the reborn of central asian turkestan). Caucas countries acceptd the USSR deal (except from tajikistan) and than founded Turkestan SSR. So here the biggest changes is in india and indochina , the more details is putted to this and i will do a expand and add more lores to each of nations in asia, here it is:East Asia is one of the richest regions on the planet, but unfortunately share by 2 super power India to the south and China to the north, and seen the aggressive nature of the man his It took a long time before senseless tensions prevailed, at first in the 1950s, when it totally degenerated into an official war ... It was the price of many military and civilian casualties. The years passed and the tension seems to be decreasing in the region (in the vicinity of the kashmir, or even an improvement of the relations between the two blocks which reigns on the majority of Asia .. But the storm always strikes after the sun .. the storm in this reality is in the form of the great crisis of the 20th century, tensions however forget appear, relations deteriorates at high speed, skirmishes are raging in the north of India against Chinese guerrillas. religious festival: A bomb exploded, 100 wounded and 18 dead and 28 missing ... exactly 2 days after the incident the prime minister declared war on China (July 1) 2045 claiming that China deliberately perpetuate massacre. first months was rather quiet long distances and lack of infrastructure in the north, the staff quickly understood in both camps that the big battle would happen in the south towards the indie allies The first major battle took place in Burma at the strategic city of Yangon. Idians deploy 2 million men 3.5 Chinese,The battle lasted 8 months which makes lose 1 million soldiers for each camp but india cause of lack of materials retreats. The war lasts another 2 years a period of stagnation no side could take the advantage. But India does not play all these cards it opens a new front to the north by the mountains of Nepal. The most fout it may seem India has progressed 500km in the desert Chinese. Until the North Indian Army crosses the Chinese yushu battle is raging for the duration of 7 months but the lack of supply and lack of logistic prices because of the Indian and the second defeat was won by India , the president quickly realized that the country is not ready for a war of nutrition and to sign the peace that delimits the zone of influence of the two blocks in 2050. "if we are weak with the point we will be strong with the words "it's simple india in the future will play the diploma card to keep head to head with the dragon of Asia. 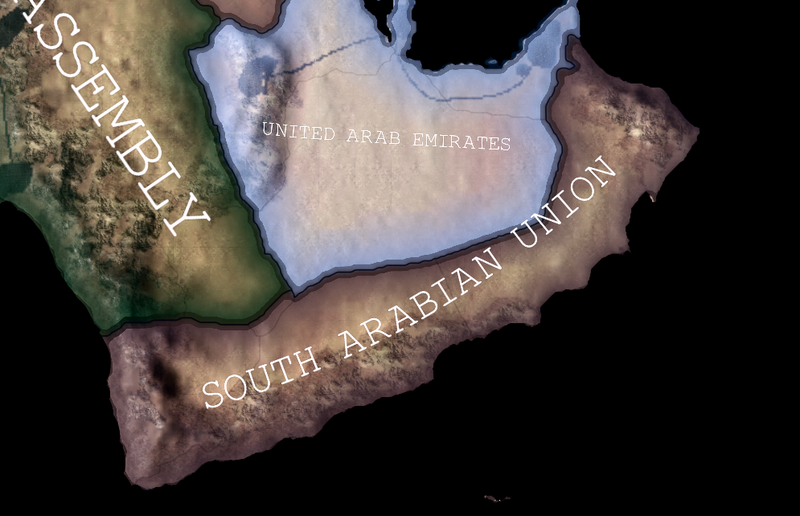 Here will be shorter story, in future will be more larger lore of all middle east, for now this is the new country that i added: South Arabian union - Founded in 2055 after second civil war in middle east, they mostly supported by china and soviet union, but the most influence is from china (of course who except other in this universe), the leader of the first communist nation in Arabian region is Ahdufa Ajifa , he is very good friend to Chinese , and the Chinese also very good opinion of their policy and country (mostly because they want their oil and oil of all middle east), after that oil world reserves began to decrease in 2057 (except the Siberian region in USSR , but they have neutral position in this situation and don't have so much trouble with oil , on the other hand they are weak because of riots and corruption) The Arabian union enter to trouble and also zone of influence between USA, USSR and PRC , what will be in future you will decide! 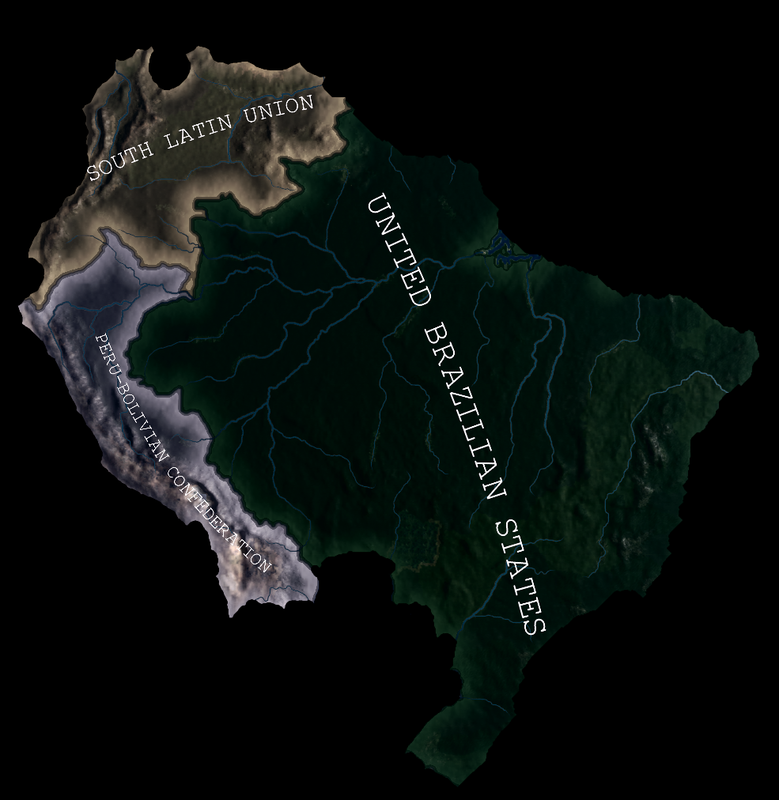 Almost all of south america is changed, new countries like southern latin union (Friends of the soviets in the north of south america) , changed borders in UBS (Unted Brazilian States). South Latin Union - Founded in 2029, all north american countries influenced by chinese and soviets, even usa didn't have so much influence on them , in 2027 the conference between ecuador, columbia and venezuela began in bogota, after 2 months the pact between the 3 countries was Founded, they created a new pact/alliance (The Northern Pact) for cooperation in economic and military plans (of course this conference is supported by the USSR and PRC), after 2 year of unsuccesful intervention of USA government, The alliance "The Northern Pact" gathered for the so-called "Meeting of Unification", after several discussion of 4 days they agreed to unite under one strong country (to prevent USA influence and make a good protection of north-south america), In this document was written: 1. The 3 countries leaders and other government "players" will have a equal power in senate and government. 2. All citizens , army and economic power will be in one union. The 3 countries leaders and other government "players" will have a equal power in senate and government. All citizens , army and economic power will be in one union. 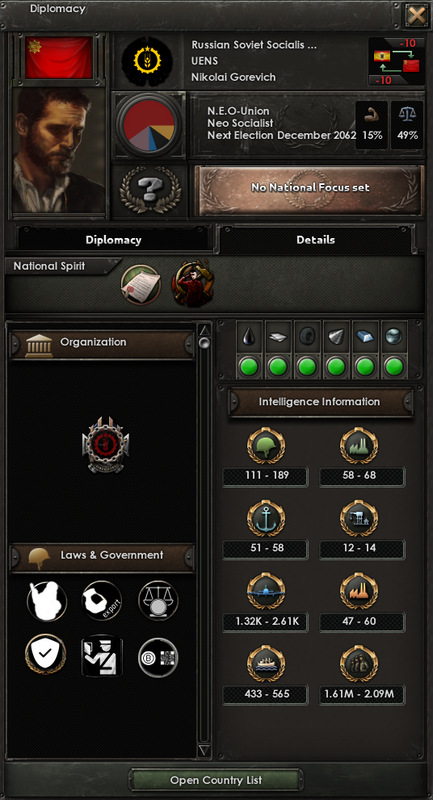 <ul> <li>Germany</li> </ul> <p>"With great power , comes great responsibility" This slogan is perfect for the german focus tree, it contains a industrialize decision, army and the government laws and most importantrly the special option of ideology choice, many options and many events, of course! this is the major power of all europe region and leader of european commonwealth what did you except?! "China" This is the greates power major in all asian region, they have a lot of resources (except from oil , you know why)A lot of industrialization zones and slaves people Citizens who serve to party, in this universe they more aggresive and militaristic than in ours (but who know what they will do in our time line future), and one more thing, they really love rice neo socialism. "Europe" Ehhh wonderful place, but not in our universe , massive riots on all commonwealth, terror and rebelions against german "hegemon" policy. 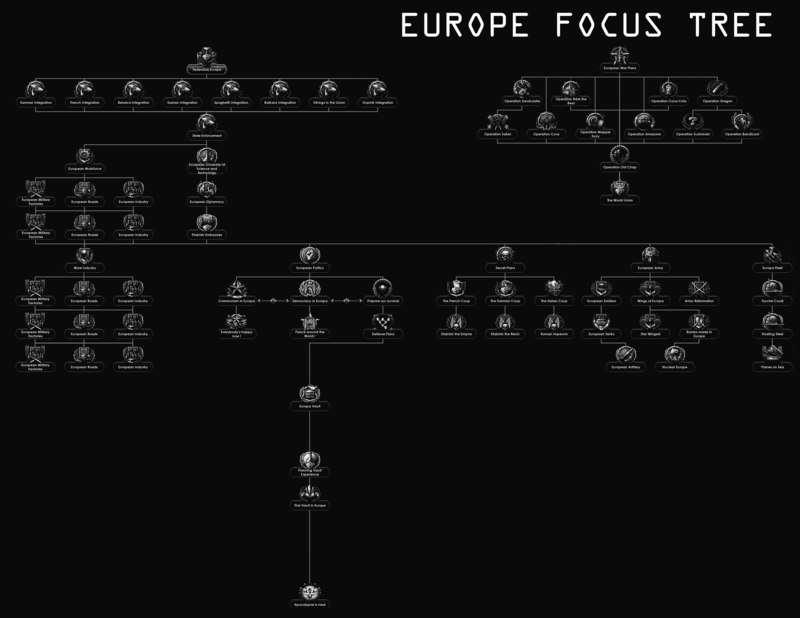 This is hidden focus tree, i will expand him more, also i plan to add him to german events or other country (but this is will be hard time for you believe me). 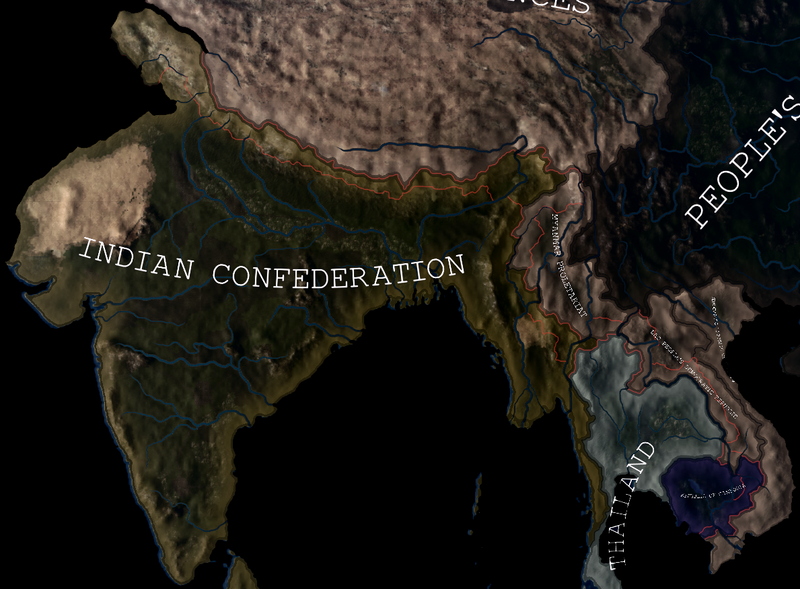 The reason that i don't give you full information about ideas because this is only the country ideas, also i want to shine a separate dev diary to all effects of this idea. This ideas is from the start of the game. The laws of the government. Here only 2 government ministers, the reason that i don't show you the others is that most of them don't have icons and also becasue i don't want to spoil the effect of the diary. Oh how much i loose time to do this, hours by hours of exhausting work , and that's it , here the new interface of the political government, maybe in future i will change all interface. 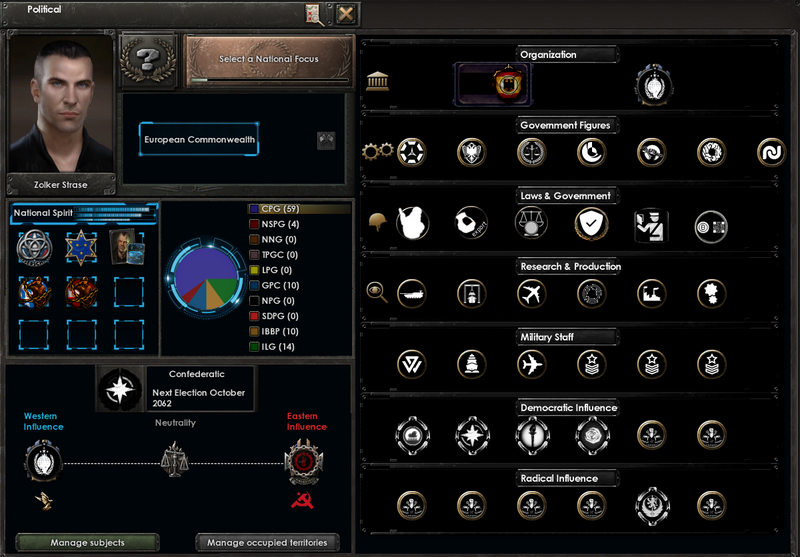 Also i cahange some ideological color and all font in the game. Lots of typos in timeline and overall an odd one. I am expecially confused about the first "nuclear reactors and factories" considering "nuclear-hydrogen" bombs were made before the nuclear reactors even existed. It looks pretty but eh. 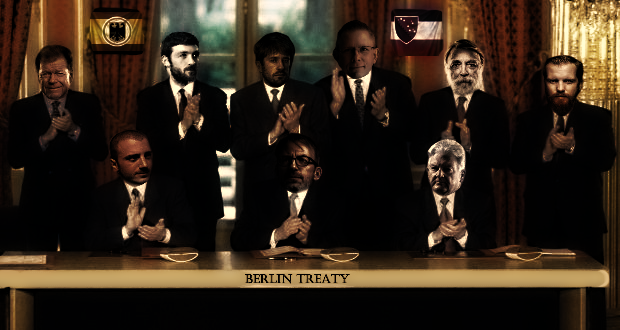 Also the Berlin treaty picture is shoddily made with lots of shading issues. We currently don't have good graphic devs. And yea time line will be fixed with time.